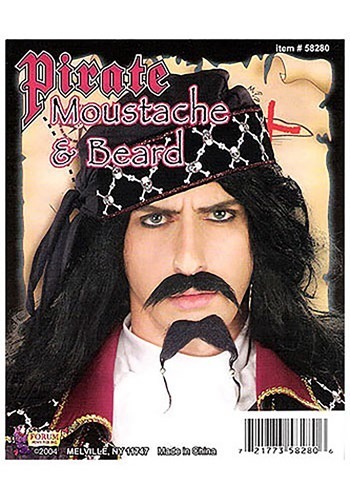 This black pirate beard and mustache set will complete any pirate costume. The beard and mustache are made of synthetic hair and have adhesive on them. Both end strands of the beard have a little silver bead for a classy touch. Spirit Gum is recommended for a stronger, longer lasting secure hold.